SafeRack is the #1 Selling Aluminum Gangways in North America and our aluminum dock ramp solutions have earned the reputation for safe, durable and long-lasting dock gangways in the harshest marine environments. 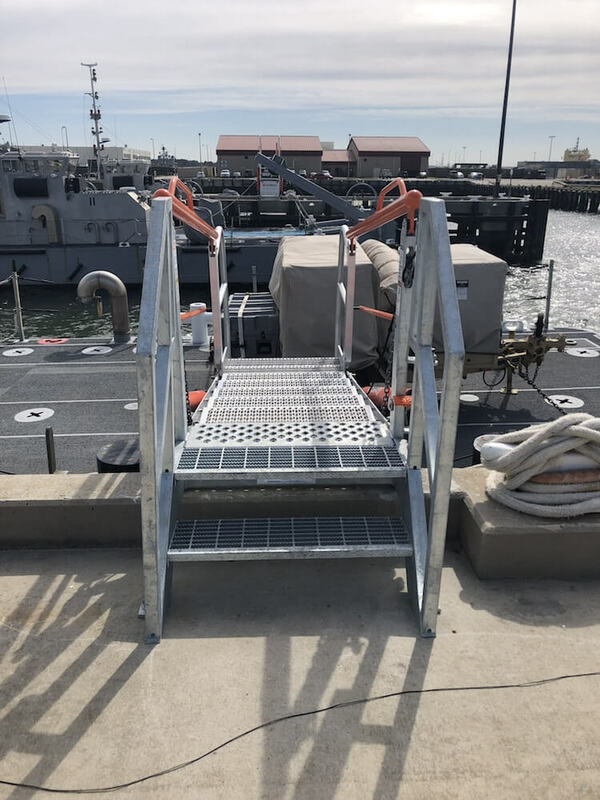 Our OSHA compliant dock gangways are designed for worker safety and can be fixed to a static structure like a complex platform system or to a mobile platform to allow easy operation and storage. Using aluminum alloys, our dock gangways are corrosion and saltwater resistant. SafeRack can customize a dock ramp solution to meet your unique technical requirements while meeting your budget and deadline. For the springs, I liked the fact that they came as matched pairs. For the springs, I liked the fact that they came as matched pairs. For the swivel seal kits I liked the fact that they were inexpensive compared to the entire swivel joint. They provide short term repair potential in the event of failure of the primary installed components.